Open wheel. Single seat. Wings. Slicks. Glory. 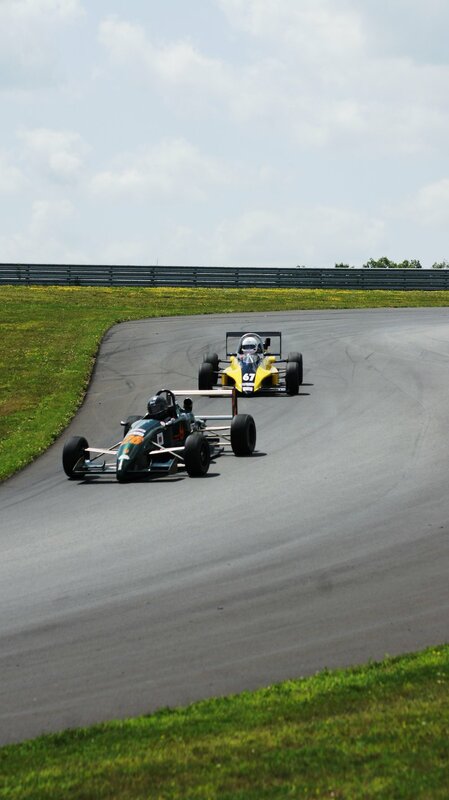 The Great Lakes Championship for Formula Continental/Club Formula Continental brings top level formula car racing to the Midwest, visiting some of the most challenging and beautiful tracks in one of the most hotly contested regions. Performance capability is exceptional, having launched talents like Sam Schmidt, Tonis Kasemet, and Allen May. Even Ayrton Senna once drove this class, in its European flavor - FF2000! Throughout the 80s, 90s, and 2000s, any driver who expected to see Formula One or Indycar knew their path lead through Formula Continental. Still, no better way exists to hone racecraft than amongst our ranks. Yet, participation costs remain within the realm of the everyman - with many teams spending less than an average season in Spec Miata! Whether you are a lifelong fan, a seasoned driver, or just getting into the sport, the Great Lakes Championship delights dreamers and builds drivers. Register to participate or check out this year's schedule and come spend a day with us at the races!! !